POTENTIAL SOCIAL BENEFITS OF DIVERSIFYING RESIDENTIAL UNITS DESIGN AS SMART GROWTH CITY PRINCIPLE IN URBAN AFFORDABLE HOUSING. Faculty of Design and Architecture, Universiti Putra Malaysia, Selangor. In the recent years, urban affordable housing has been experiencing significant high rise residential growth. It is forecasted that the change that over the next 20 years the demographic profile of the municipality’s established suburbs, resulting in the need for a greater range of housing types. With the forecast, Malaysia and Singapore housing development is in the process of diversifying the unit layouts to cater for changing social needs which scenario has yet to be studied. The main purpose of this study is to determine the potential social benefits of diversifying high-rise residential units in the urban affordable housing in the context of Kuala Lumpur and Singapore. Additionally, it identifies the various appropriate high rise residential units’ design to meet the community’s existing and future needs of housing. By using multiple case studies method, the unit design will be analyzed based on the its size, its provided rooms, its total units and its provided basic facilities and amenities as well as how it benefited the society. Hence, this study significantly shows the prominent of the diversifying residential units’ design as smart growth city principle in the urban context of Kuala Lumpur and Singapore. Keywords: diversifying residential units’ design, smart city principle, social benefits, urban affordable housing. What are the potential social benefits of the diversifying high rise residential units’ design towards the society? In today’s urban development, high density and compact development has been significantly discussed to support the growth in population in the urban context. High rise residential developments, which is also called as vertical living, are strongly promoted in almost every governmental affordable housing planning policy to be set in context of city centre. The current market demands a sense of vibrancy and community in the mixed development that they live in (Bell, 2004). Almost 68% of all Malaysian, which is about 18 millions of Malaysian, have chosen to live in the towns and cities as it shows a relatively high developing of urbanisation in the developing country (Wan Nor Azriyati WAN ABD AZIZ, 2014). As the population growth in the urban context, the needs for more residential housing in the vertical form are desperately getting higher in order to support the change in the different life stages and the housing needs. Likewise, in Singapore, the needs of vertical form of residential housing has been rapidly increased along the growth in the population and the change of different life stages. Hence, Malaysia government has drafted ACT 739 under the Law of Malaysia to set up a body of organisation called PR1MA, Perumahan Rakyat 1 Malaysia, to plan, develop, construct and maintain the high quality of affordable housing. On the other hand, Singapore government has established a public housing authority, which is called Housing & Development Board (HDB), to plan and develop the housing estates as well as to transform the town into more comfortable and living environment. There are various projects are being developed and constructed in the recent years, especially in suburban area and urban context. Both of the established organisations have implemented the smart growth city principles. The rapid speed of growth of the ongoing urbanisation in both Malaysia and Singapore has created the opportunities to implement the smart growth city principles in most of the development to avoid the highly inefficient urban sprawl in the urban context. However, one of strategies of smart growth principles stated that a range of housing opportunities and choices should be created and implemented in the development to support the different life stages of community. Therefore, diversity of housing choices in the selected projects has offered greater opportunities to create a more vibrant types of community, meanwhile, it also supports various range of incomes in one development. This study aims to analyze the potential benefits of diversifying high rise residential unit design in urban affordable housing to the society. By implementing the 3rd principle of Smart Growth, the development must provide a range of housing opportunities and choices to meet the community’s existing and future needs. The provision of quality housing for families of all life stages and income levels is an integral part of the smart growth approaches. There are various reasons that cities should offer a diverse range of housing choices for local residents. By integrating the planning structures for single and multi-family in new residential development, the development itself can support a more diverse population. It also allows more equitable distribution of households of all income levels. Besides, it is leading to create a higher demand for community services and facilities such as malls, schools, health care, office and recreation facilities. Diversifying housing in vertical form has also provided more opportunities in the development that allows the residents to have choices in a small piece of land. However, when the development focuses into one type of housing, it creates a number of potential issues. The development will manage to attract one type of resident, which does not achieve the goal of diverse population in term of age, income level, families and singles. Hence, this approach does not manage to create a sustainable community for the reason being that no single type of housing can serve the various demand of diverse household in today’s market. Furthermore, if the types of community are being separated and group by the aspects of income levels, the locals with low income will be forced to accommodate in the suburb area and, hence, the social problems will be increased when the community are being segregated. What is Urban Affordable Housing? The concept of urban affordable housing can be defined as the allocation for rental or instalment must not exceed 30% of the total household income in the urban context (B Bakhtyar, 2012). By that means, the unit of housing can only be affordable if the resident’s household spend within 30% of its income on the housing costs, including the utilities, for them to live in the urban context where the growth of economic is rapidly increasing. PR1MA was established as a government owned company under PR1MA Act 2012 and under the supervision of Ministry of Housing and Local Government. It is established to help the intended demographic of middle income group to manage the cost of living in the context of urban areas. The residential houses are provided in the sustainable community and be priced within the range of RM 100,000 to RM 400,000. However, most of high rise residential development will be planned and further developed in the context of urban areas. Hence, this study will focus into the types of unit layouts of vertical living based on the following projects as the case studies. This development is one of the high rise affordable residential housing project located in the city centre and accessible through Jalan Loke Yew and Jalan Jubilee. This project offered three basic types of unit layout in the total of 543 units in 2.5 acres of land, which is shown in Figure 1 below. This development has included amenities for community, such as surau, community hall, kindergarten, shops, nursery and playground, to ease the community to walk within their compound for the basic facilities. The provision of three basic types of units, which comprise 3 bedrooms with 2 bathrooms for unit type A and C as well as 2 bedrooms with 2 bathrooms for unit type B, has given the opportunities to the small family to set up their family in the urban context. However, the vibrancy of community hardly to be achieved due to the development focuses into standardise the unit layouts into three basic types. 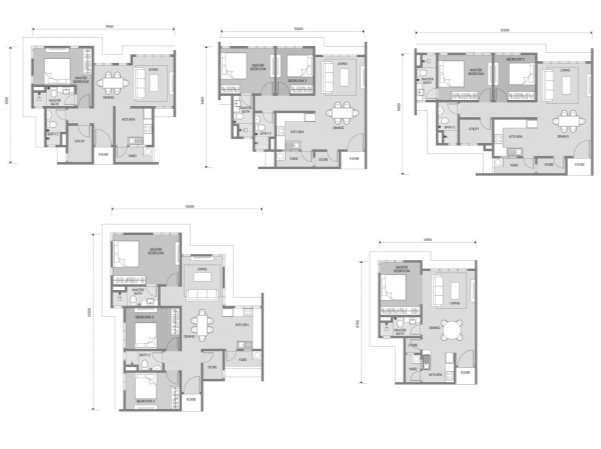 Figure 1: Unit Layouts are shown accordingly for Type A (3 Bedrooms & 2 Bathrooms), Type B (2 Bedrooms & 2 Bathrooms) and Type C (3 Bedrooms & 2 Bathrooms). In the context of city centre in Kuala Lumpur, this development is being developed in the area with well-developed infrastructures in the surrounding site as it is accessible through 4 access points, for instance, New Pantai Expressway (NPE), Jalan Tun Sambanthan, Jalan Bangsar and Jalan Syed Putra. It is also located near train stations, Bangsar station and KL Sentral station. The development provides the basic facilities for the residents such as surau, community hall, kindergarten, nursery, gymnasium, playground and shops. However, due to the bigger land size, this development manages to provide more variety of unit layouts with the total of 920 units in 6.37 acres of land. The provision of five basic types of unit layout manages to show that this development has implemented one of the smart growth principles as it creates the diversified of housing choices and opportunities in order to cater a more vibrancy type of community within its own development. The development comprises 1 bedroom with 1 utility and 2 bathrooms for unit type A, 2 bedrooms with 2 bathrooms for unit type B, 2 bedrooms with 1 utility and 2 bathrooms for unit type C, 3 bedrooms and 2 bathrooms for unit type D and 1 bedroom with 1 bathroom for unit type E. See Figure 2. Figure 2: Unit Layouts are shown accordingly for Type A (1 Bedrooms with 1 Utility & 2 Bathrooms), Type B (2 Bedrooms & 2 Bathrooms), Type C (2 Bedrooms with 1 Utility & 2 Bathrooms), Type D (3 Bedrooms & 2 Bathrooms) and Type E (1 Bedroom & Bathroom). The Housing & Development Board (HDB) is Singapore’s public housing authority and a statutory board under the Ministry of National Development. Besides planning and developing Singapore’s housing estates, HDB also contributes in building homes and transform towns to create a comfortable living environment for all. By provides various commercial, recreational and social amenities in our towns for our residents’ convenience. HDB flats were built primarily to provide affordable housing to the poor and their purchase can be financially aided by the Central Provident Fund (CPF). Today, as many as 82% of Singaporeans live in public housing provided by the HDB. Trivelis, a DBSS with 888 units comprises of 3. 4. 5-Room units in three 40-storey towers, and total site area is 21,906.5sqm. it is a development that stands out from the crowd, with its awe-inspiring architecture of striking black and white solid lines. With selling prices start from $390,000 to 770,000, it is a leasehold 99 tenure type of unit (HDB DBSS ).Same as others, this HDB flat has provided basic facilities for community such as playground, precinct pavilion, childcare centre, outdoor fitness station, open courtyard, open plaza, garden footpath and open turf area within its own development. Due to its strategic location in Clementi new town, a destination complete with convenient facilities and amenities such as as shopping mall, Clementi central, community center, masjid, recreational park at Jurong lake and institute such as NUS, Clementi Town secondary school, Japanese School and high school. Trivelis HDB is well located 5 minutes away from Clementi MRT station (East-West line) and Clementi bus interchange, it is convenient to travel anywhere around just by taking public transport. The Trivelis HDB flats provide 3 fundamental types of unit layout, which is 2-Room type, 3-room type.and 4-Room type. The 60 sqm 2-Room type unit comprises of 2 bedrooms with 2 shared bathrooms, the 82 sqm 3-Room type unit comprises of 3 bedrooms with 2 shared bathrooms and the 105 sqm 4-Room type unit comprises of 3 bedrooms with 2 shared bathrooms and 1 study room for alternative uses. By creating a range of housing choices in the development, it supports more diverse population from different income level, ages group and families size to stay. A better balance of demand for community services and facilities will be provided equally such as schools for kids and teenagers, health care for elderly, office for adults and recreation facilities for everyone. Thus creating a sustainable community which serve the various demand of today’s diverse household. Figure 3: Unit Layouts are shown accordingly for Typical 2-Room (2 Bedrooms & 2 Bathrooms), Typical 3-Room (3 Bedrooms & 2 Bathrooms) and Typical 4-Room (4 Bedrooms & 2 Bathrooms). The 758-unit SkyTerrace is made up of 5 towers of 40 to 43 storeys that sit atop a parking podium. With a ‘Housing-in-the-Park’ concept, SkyTerrace used extensive and expansive green spaces across both developments. Residents will be greeted with a cascading green terrace on the faÃ§ade of the multi-storey carpark once enter to the flats. Well designated rooftop garden with landscape at the top level of the carpark will leads residents to an open space, aiding social interaction within the community. These green pockets encourage residents to exercise or even an evening walk within the community, jogging track is providing on the roof garden at the top level. SkyTerrace HDB flats has provided 6 types of unit layout, which is studio apartment type, 2-room type, typical 3-Room type, 3-Room with loft type, typical 4-Room type and 4-Room with loft type. The Studio apartment which combines living/dining area, master bedroom with bathroom, a household shelter and a kitchenette in a single unit. Typical 2-Room layout consists of living & dining area, a kitchen with service yard, a household shelter, a shared bathroom, a master bedroom with bathroom and 1 double bedroom. While 3-Rooms layout comes in standard, loft with attached studio apartment configuration for the dual generation living concept. Typical 3-Room layout consist of living & dining area, a household shelter, kitchen with service yard, a master bedroom with bathroom, a shared bathroom and 2 bedrooms. On the other hand, the 3-Room in loft type are designated to have living area with balcony, dining area, a household shelter, kitchen with service yard, a master bedroom with bathroom, a shared bathroom and 1 double bedroom on lower floor; another set of living, dining area and kitchen on upper floor with having same concept as studio apartment type, master bedroom with bathroom and an alternative single bedroom turn from family area. Planning of SkyTerrace is perfect for variety income level of people in different stage of life course, it reflected the diversity of housing unit in high-rise. The concept of diversity layout in 3-Room type is suitable for dual generation who having children and elderly parents living together. And also normal household who buy the loft unit as invest and rent out one of the floor to earn extra income. While the studio apartment layout is just nice for 1-2 residents such as growing senior citizen, single-person and married-couple without child. 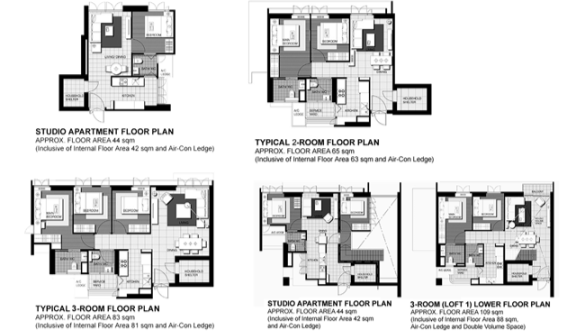 Figure 4.1: Unit Layouts are shown accordingly for Studio Apartment (1 Bedrooms & 1 Bathrooms), Typical 2-Room (2 Bedrooms & 2 Bathrooms), Typical 3-Room (3 Bedrooms & 2 Bathrooms) and Loft 3-Room Type (3 Bedrooms & 3 Bathrooms). Figure 4.2: Unit Layouts are shown accordingly for Typical 4-Room (3 Bedrooms & 2 Bathrooms) and Loft 4-Room (4 Bedrooms & 2 Bathrooms). A diversity of high-rise residential units helps respond to the housing needs of communities at different stage of life course, it helps to provides opportunities for communities where people can move home without leaving their neighborhood. People first preference is often to stay living in their existing neighborhood where friends and support network are already well established. Secondly, greater housing diversity in high-rise residential units can help to fosters more opportunities for a wide range of income groups to choose their ideal housing types in well-serviced locations. Social interaction with neighbor from different background of race, ethnicity, culture and occupation helps in developing good-neighborly friendly relations, thus build up a caring homeland. Besides that, diversifying residential units foster a healthier community through the development of ‘walkable’ communities. The most sought neighborhood characteristics of all buyers is walkability, living in a healthy community is everyone’s dream. More and more of us want to be live within a safe and comfortable walking distance of the destinations that meet our everyday needs, such as work, place to shop, eat, services, play and good transportation options that take us to downtown. A provision of walkable community would also contribute to ensure residents health by encouraging walking and cycling as major transportation method. By improve the walkability in the urban city, it helps to reduce the social disadvantage caused by rising fuel prices and transport costs. Residents’ burden on living expense get reduced, thus guaranteed their quality of life with less stress. This paper has studied the impacts of social benefits forward to the society for having a diversity of residential units’ design in the development. Through the analysis of the multiple case studies, it has shown that authority of Singapore has enforced the urban affordable development to have a diversity of residential units’ design in order to capture the needs of the present and future. Along the process of life-changing cycle, the developments in Singapore manage to foster the opportunities for the community to choose the housing in all the life stages. However, in Malaysia, PR1MA is still struggling in the planning process to capture the vibrancy of communities in most of the projects due to the market demands. Hence, diversity of residential design units not fostered the vibrancy of communities but, it also creates a healthier neighborhood, enhances the economic growth and it reduces the social issues. B Bakhtyar, A, 2012. Affordable Quality Housing for Urban Low Income Earners in. Advances in Environmental Science and Sustainability, 4 December , p. 62. Bell, J., 2004. A Mixed-Use Renaissance. Mortgage Banking, 64(8), p. 66. Wan Nor Azriyati WAN ABD AZIZ, 2014. Vertical Living Phenomenon in Malaysia. FIG Congress 2014, 16-21 June, pp. Engaging the Challenges – Enhancing the Relevance. Anon., 2015. Public Housing In Singapore-Fulfilling Dreams, Building Homes, Creating Communities, Singapore: Housing Development Board. Whittlesea, C. o. (n.d.). Housing Diversity Strategy 2013-2033, 14. Petersen, A. (May 2011). Housing Diversity Guide. landcom, 7-8. (n.d.). Public Housing in Singapore. Singapore: Housing & Development Board.